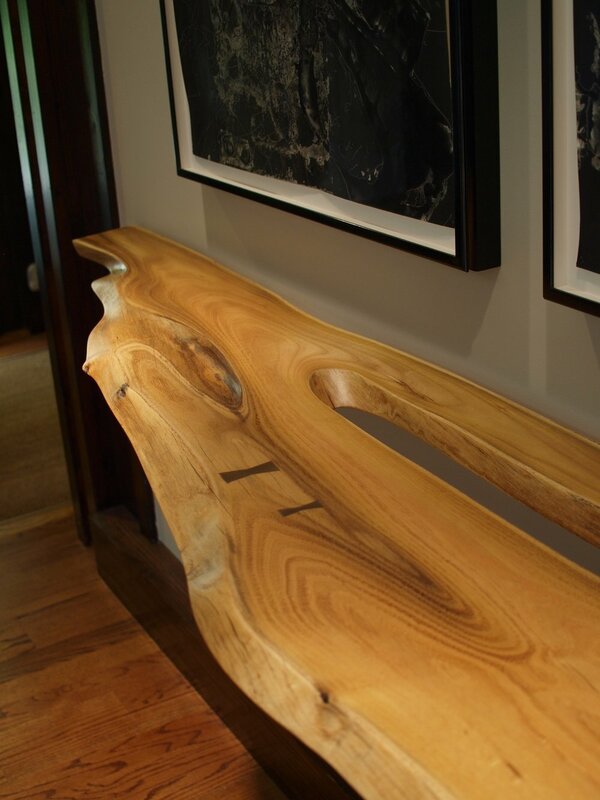 Waterfall joint "folded" console table from a sinuous piece of black locust with naturally occurring voids. 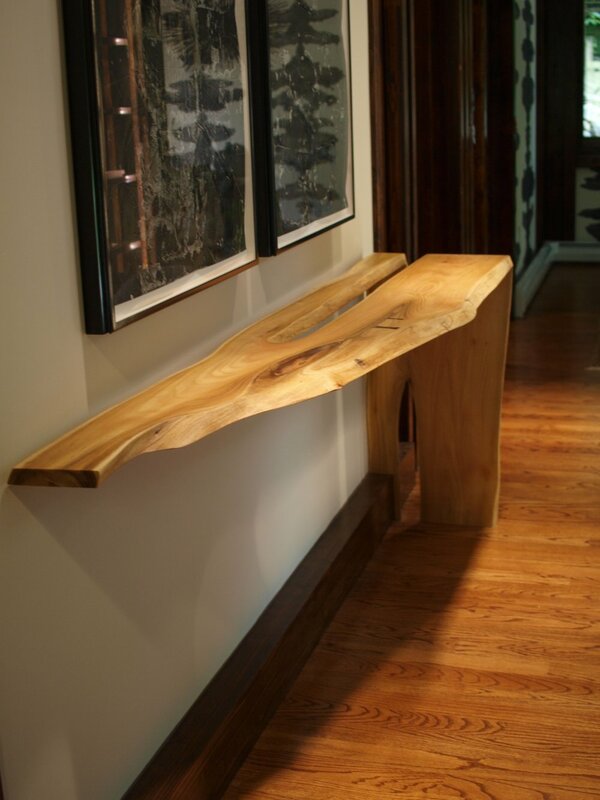 Black locust sourced in northeastern NJ. Dimensions: 7' long x 15" wide x 36" high.